Led by Senior Research Fellow Dr Lesley Day, a multi-disciplinary team of scientists and investigators, from Monash University’s Accident Research Centre (MUARC), five of whom who are riders themselves, will conduct the study over the next 18 months. The study will compare the experiences of riders injured in crashes at specific sites with riders who have travelled through the same site safely. Factors to be investigated include travel speed, rider profile, the behaviour of other road users and the physical environment. “We know that speed is a factor that determines the severity of a crash, but we have less information about the role that it plays in causing a crash, particularly whether there is any interaction between travel speed and other factors, like rider experience, and crash causation,” Dr Day said. 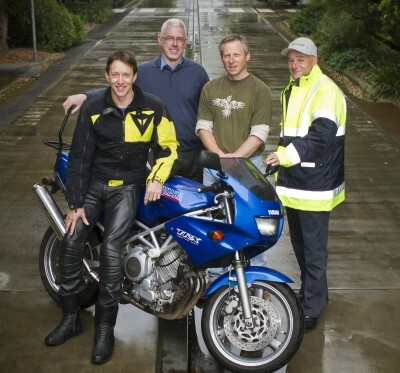 Injured riders admitted to hospitals in Victoria will be directly approached by researchers. To select a control rider, MUARC researchers will photograph number plates and record the speed of riders passing safely through the site. VicRoads will then contact riders directly to invite them to participate. Speed data will not be provided to VicRoads or used for any enforcement activity. Consenting riders will be asked about travel speed, their riding experiences and habits, and the behaviour of other road users. In addition, injured riders will also be asked about any other factors that may have contributed to the crash. Experienced and active riders have contributed to the questionnaire design to ensure relevance and improve study outcomes. “The study aims to provide evidence-based information to riders and the wider community and to help road safety organisations make better decisions. Ultimately, the study is about helping to improve rider safety and reducing the number and seriousness of motorcycle crashes,” Dr Day said. The study was officially announced by the Minister for Roads, the Hon. Terry Mulder MP and is funded by the Australian Research Council, VicRoads, Victoria Police, TAC, Department of Justice, and VACC. Results are expected towards the end of 2013.